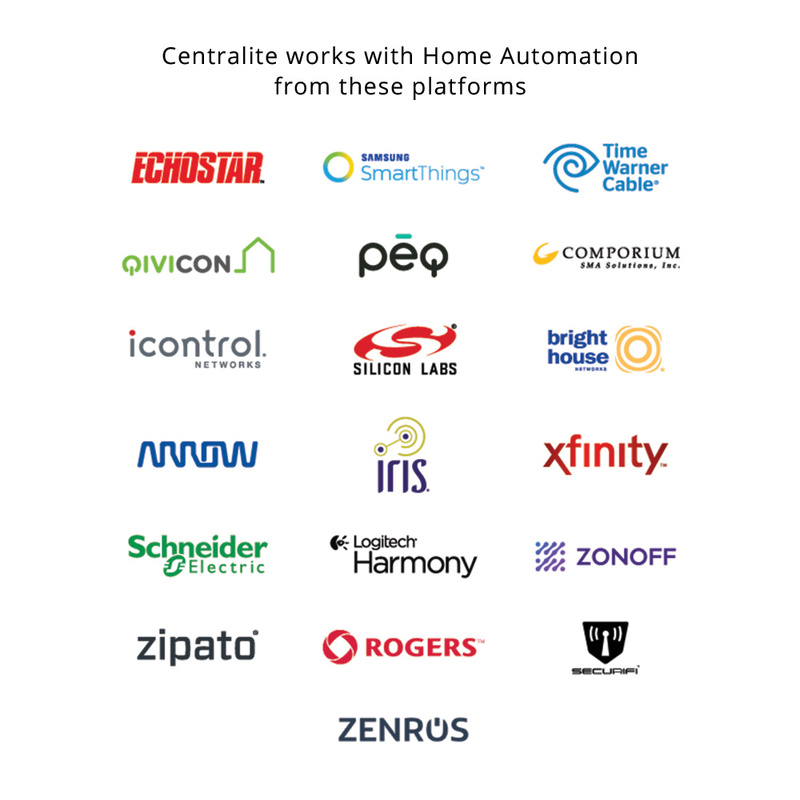 The Centralite Pearl thermostat uses ZigBee Home Automation 1.2 wireless to connect with nearly all residential HVAC systems including Electric, Heat, Gas, and Oil systems. Allowing home control of up to two stages of heat and two stages of cool - as well as being compatible with newer, higher-efficiency HVAC systems. With SmartThings compatibility, the Centralite Pearl thermostat can be controlled by your smart home management device via ZigBee wireless thru Samsung SmartThings. A beautiful design, packed with features. Centralite’s Pearl Thermostat is a revolutionary thermostat that combines contemporary aesthetics with easy-to-use controls. 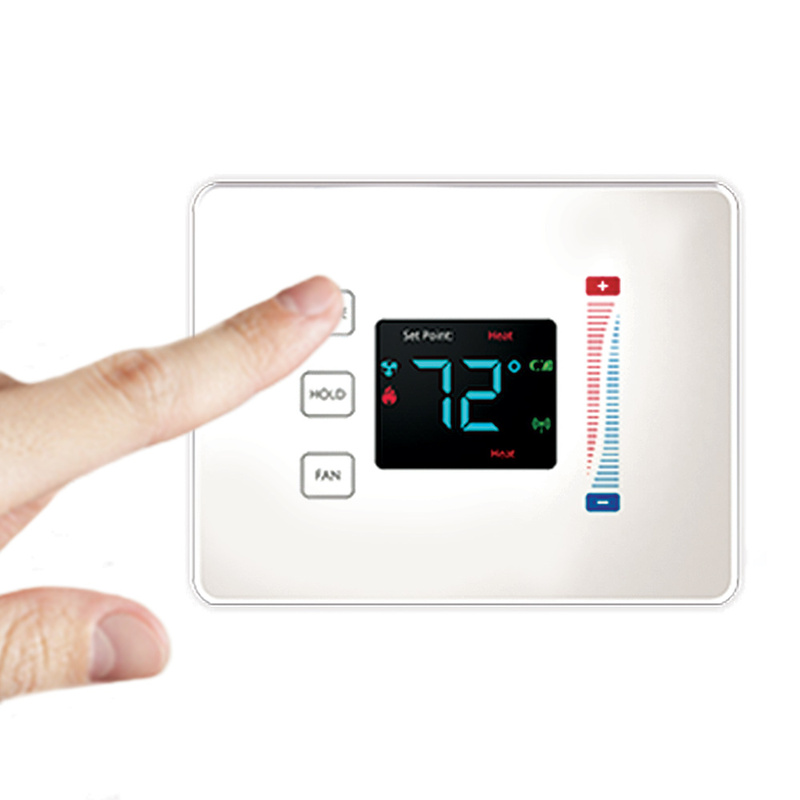 Utilizing a capacitive touch display, the thermostat delivers precise control and an unparalleled user experience. Features include a built-in power amplifier, up to a two-year battery life, and compatibility with most residential HVAC systems. With quick-connect terminals for tool-free wiring, installation is a breeze. Capacitive Touch Controls - With the swipe of a finger, you can set the temperature or lock changes using the HOLD button. Easy DIY Installation by most homeowners in less than 15 minutes. Quick-connect wiring terminals eliminate the need for specialty screwdrivers or an extra set of hands. Save Energy, Save Money by adding connected home HVAC control, your home can be smarter about when it uses energy to heat and cool. Long lasting two-year battery life (with typical operation) 4-AA batteries (included) or common wire can be used for 24VAC. Note: The thermostat is configured to automatically search for open ZigBee networks upon power-up for 90 seconds. Open your ZigBee touchscreen, router or gateway for joining. On the thermostat, enter programming mode and navigate to menu option 12, press HOLD to enter the “Join Network” menu, press (+) to display “01”, then press HOLD again to begin searching for an open network. The thermostat should now pair with your ZigBee network. Follow any on-screen prompts from your ZigBee touchscreen, router, or gateway to complete setup. Compatible with your Home Automation network or your money back in 30 days! If for any reason you are not satisfied with your Contralite Pearl thermostat we will refund your money within 30 days of purchase and send you a prepaid shipping label to return the item. ** Some boilers are not compatible with the Pearl Thermostat.